How do you get your products on more retailer's shelves and into the hands of more shoppers? 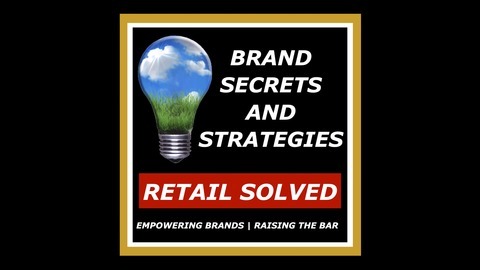 Discover how you can increase sustainable sales, get more loyal shoppers, avoid costly pitfalls, reduce wasted trade spending, make sense of the data maze, profit from big brand strategies, and save valuable time and money. There’s a better way! Get exclusive tips and actionable insights from more than 50 well-known industry thought leaders who candidly share their advice with you. 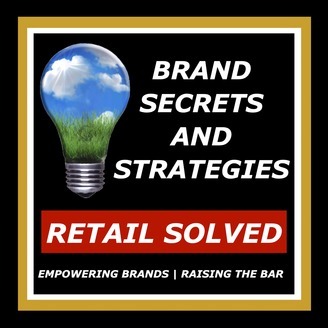 The Brand Secrets and Strategies podcast is an audio natural products accelerator for food startups, entrepreneurs, emerging health-focused brands and retailers. The goal of most brands is to get on a store shelf and be featured by that retailer. It’s not as simple as it sounds. You need to know what retailers want and expect from the brands they sell. Learn what you need to know - this is your roadmap for success. New product innovation is the lifeblood of every brand. New products fuel sustainable growth, attracts new shoppers, and increases brand awareness. Know the critical steps to get your product on more retailer’s shelves and into the hands of more shoppers. The goal of most brands is to get on a store shelf and be featured by that retailer. It’s not as simple as it sounds. You need to know what retailers want and expect from the brands they sell. Learn what you need to know – this is your roadmap for success. This strategy requires you to develop the trust and the respect of the retailer that you’re working with. Before you can do that, before you can even consider doing it, there are a lot of things that you need to know. For example, what are the retailers’ expectations, goals, tactics, and strategies for each category that you play in? What does the retailer want and expect from their brands that are on their shelves, and more importantly, what are the gaps that the retailer has in their market and how can you help fill them?